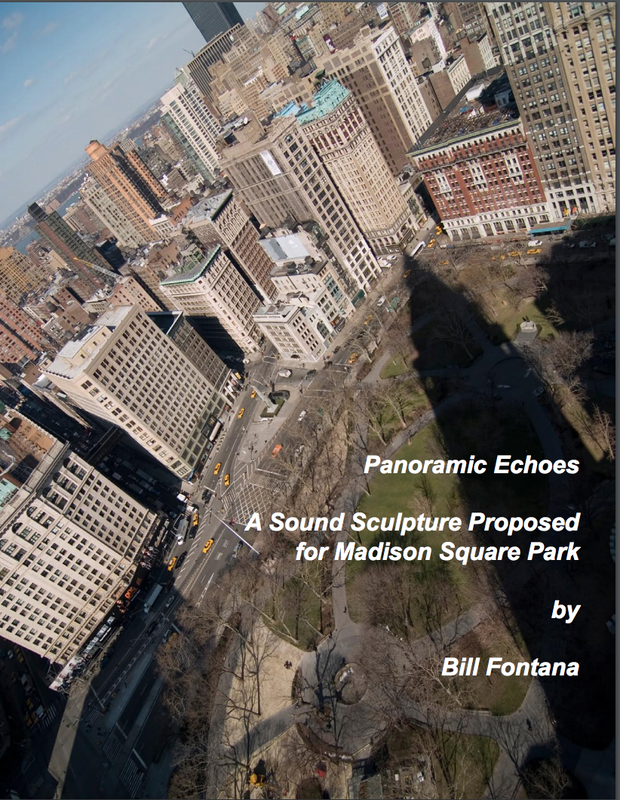 Panoramic Echoes used sound to create a perception of architectural scale that correlates to the visual topography of high buildings surrounding Madison Square Park. It will be a spatial composition with palpable layers of environmental sounds that will move, float, and echo above the park’s predominant sonic background of traffic noise. 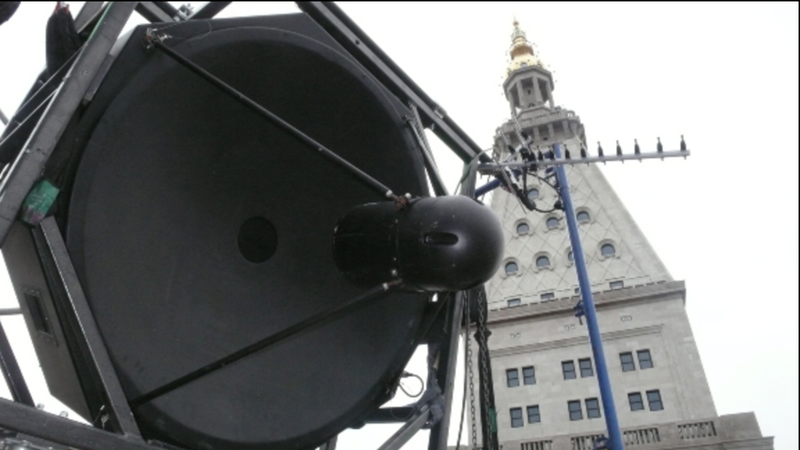 This sound sculpture will reactivate the quarter hour ringing of the Westminster Chimes from the top of the Met Life Tower. Live microphones were placed on each of the four bells that transmit the sound to a mixing system that controls the four parabolic rooftop speakers around the park. 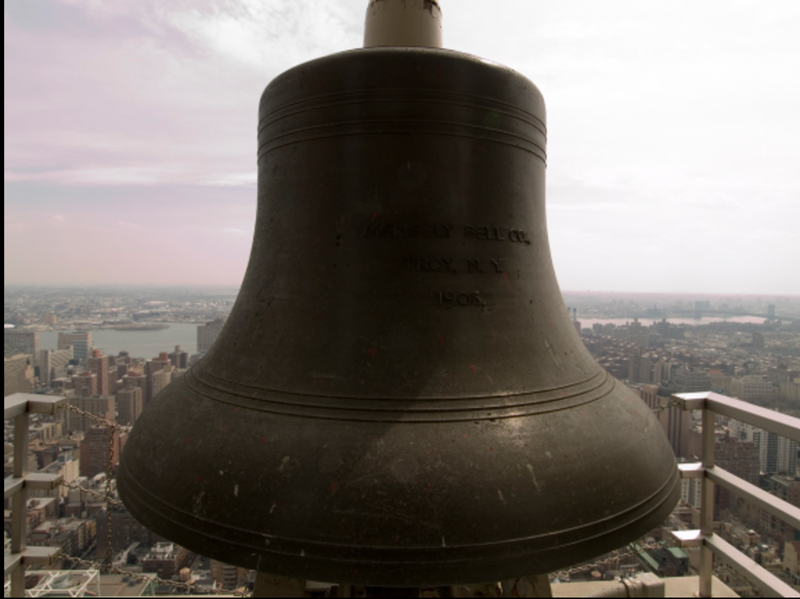 The live strokes from these bells are fed into a real-time composition that causes a cascading series of echoes and delays to create a multi-dimensional acoustic interaction with Madison Square Park.